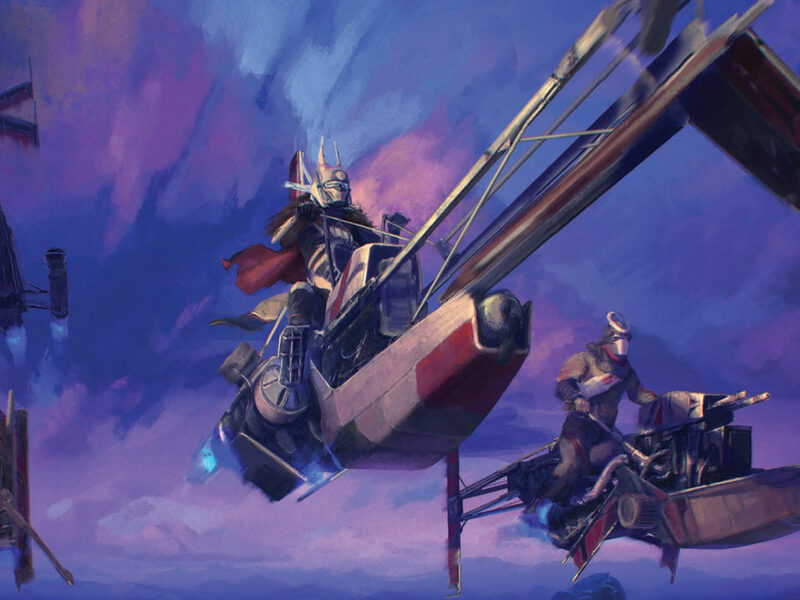 The scribe goes deep into his scoundrel-starring novel with StarWars.com. Hokey religions and ancient weapons may be no match for a blaster at your side, according to Han Solo, but what do you need when the going gets really tough? Somebody who has your back, whether you’re smooth with your words, or with your blaster pistol. Han Solo and Lando Calrissian have spent their lives trying to make one great score, but the odds are stacked against them in Last Shot by Daniel José Older from Del Rey. 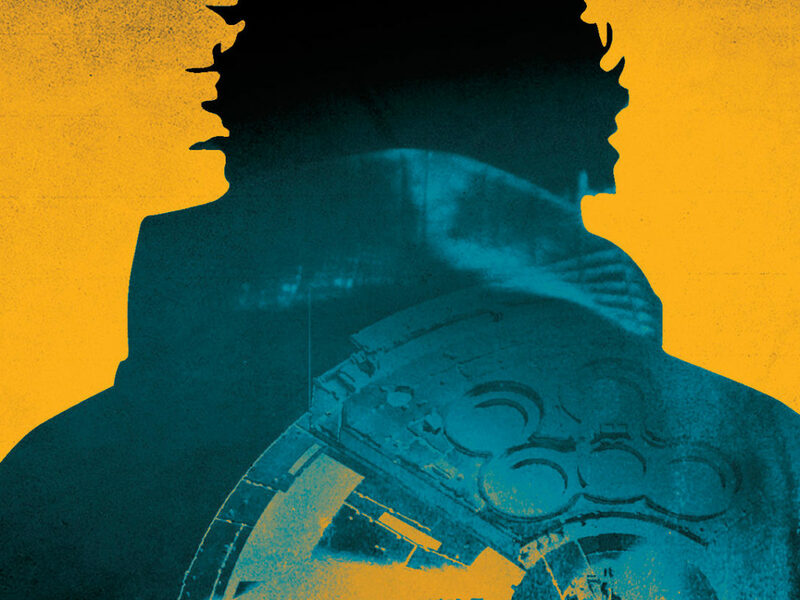 Connecting to Solo: A Star Wars Story and out for sale tomorrow, April 17, Last Shot brings the scruffy smuggler and the suave gambler back into action, as events from their past finally catch up to them and threaten the galaxy. 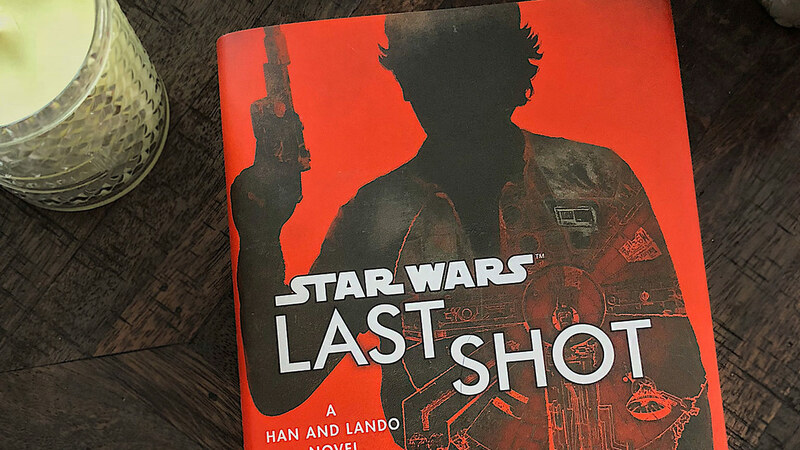 StarWars.com spoke with Daniel José Older, the New York Times bestselling author of the Bone Street Rumba and The Shadowshaper Cypher series, about Han, Lando, and not throwing away their shot. 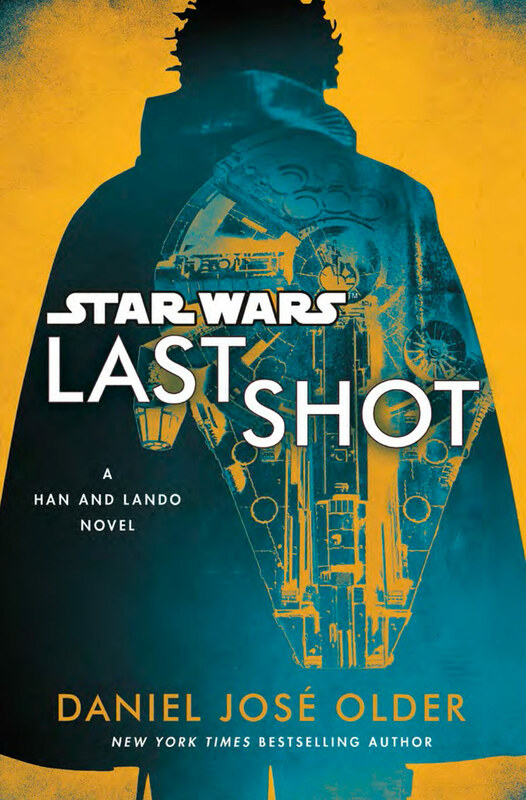 StarWars.com: Let’s talk about Last Shot. Why are the characters of Han Solo and Lando Calrissian so appealing? Daniel José Older: Han and Lando are both so much fun. I love the balance or the tension between recklessness and responsibility. They both embody that in very fascinating and very different ways and exploring that was a pure literary pleasure for me, especially with the different ages involved. We have a younger Lando and a younger Han, and then both of them more mature post-Return of the Jedi, and we’re exploring what it means to tear off into the galaxy and cause trouble back then versus right now, and the different responsibilities they have. It was just a lot of fun. StarWars.com: What do you think sets Lando and Han apart? The two of them are living on both sides of the law, but as you mention, they approach things differently. How are Han Solo and Lando Calrissian different from each other and how does that conflict sometimes? Daniel José Older: That’s a fascinating question. On one end, we see in this book Han having settled down with a family but not feeling settled inside. 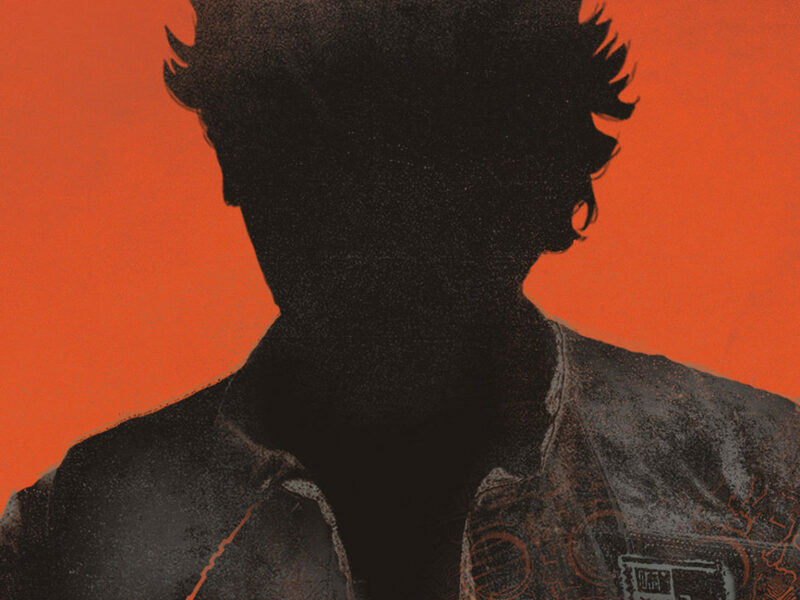 Then we see Lando, really, really wanting to settle down — he kind of wants what Han has — but they both are used to this rugged smuggler lifestyle that they’ve been living for their whole lives, so they’re both trying to find what it means to settle down but in different ways. Like I said, Han has already found it, but doesn’t know how to reconcile it with who he is, and Lando is looking for it in a more romantic way. And stylistically, there’s a lot of really interesting differences. The famous capes, of course, but that speaks to this whole other persona that Lando has that sets him apart from Han, who is pretty much a throw-it-on-and-go type of dude. And then you have different forms of strategy. Lando is a sweet-talker, Han is not, memorably. They are both fighters and warriors, in different ways and they both have their own forms of diplomacy. All of those are different things that came up throughout the book. StarWars.com: You mention that we see them in younger, pre-A New Hope forms, perhaps around the time of Solo: A Star Wars Story. How does this connect with Solo in the timeline? Daniel José Older: So Lando’s story takes place before the movie Solo, and Han’s takes place after Solo. So the younger-version stories sandwich Solo. StarWars.com: With these younger versions of the characters before we see them in the original trilogy, then older versions of them after Return of the Jedi with Han having settled and Lando looking to settle, what other differences are there between their younger selves and more mature selves? Daniel José Older: I think it is about a sense of purpose for both of them. What is interesting is that for both in the movies, and what I’ve tried to do with their characters in the book, there are seeds in their younger selves of who they turn out to be, which are very heroic and self-sacrificial warriors for a cause. These qualities are in there while they are out there freelancing with their devil-may-care lives with no kinds of ties at all. I think, in moments, the people around them see that in them, and see that they are looking for something bigger than themselves to be a part of, but they haven’t found that yet. They’re in that early-to mid-twenties I-don’t-know-what-I’m-doing-with-my-life-but-maybe-I-do-but-I-don’t-know-how-to-do-it-yet-just-trying-to-figure-stuff-out phase. That turns out to be a lot of fun and I think it can be particularly interesting when it can be coupled with seeing them as they are later, when they’ve more discovered their purpose and what that really means for them. StarWars.com: How did the sense of purpose come about in this book? Their older versions get drawn back together because of things that happened individually to them in the past — tell us about what brings them back together? Daniel José Older: So Fyzen Gor is this criminal mastermind, a very devastatingly patient strategist, who has a device that is prepared to wreak havoc across the galaxy. At different points in the Millennium Falcon’s history, both Lando and Han went after that device for different reasons. And now Fyzen Gor is back and is trying to figure out what happened to his device, and who’s responsible for it, and is basically ready to wreak a lot more havoc. So that brings the two back together, and out of a shared responsibility to each other as friends, and then to the galaxy as a whole, because it really is going to be a bad situation if things get out of hand, they feel the need to jump back in and get back in the saddle. StarWars.com: Tell us a little more about Fyzen Gor and what is his master plan? Daniel José Older: I don’t know what I can say without revealing too much. He’s obsessed with droids. We can leave it at that — he’s obsessed with droids. Well, we can say that a tragedy from his past caused him to get into a whole other way of thinking about organics and droids and the world, and his master plan revolves around that. He plays a long game, and that’s what I think is so creepy about him — he’ll wait it out. He’ll be in there, playing one role, and then it turns out a whole other thing is going on, and he’s like, “I got you,” and it’s been 10 years and you’re like, “Holy crap! What long game is this?” This is something that Han doesn’t exactly have, he’s more of a come-on-in-blasting-and-let’s-get-this-over-with type of fighter, so there are very different ways of approaching the situation for sure. StarWars.com: To go after Fyzen Gor, Han and Lando put together a team — what can you say about them? Daniel José Older: First of all, teams are a lot of fun to write, especially in Star Wars, because not only are you dealing with different personalities, you are dealing with different species and creatures. I just had a lot of fun imagining what the crew of this spaceship would look like. Peekpa is an Ewok slicing legend, the best computer slicer in the galaxy and she is kind of in love with Chewbacca from afar, a little bit star-struck by him, working for the fledgling New Republic and excited to see the galaxy. There’s Taka Jamoreesa, who is kind of a rogue pilot that turns out to be more help than they ever would have imagined along the way – [they’re] human. There’s an Ugnaught, Florx Biggles. Ugnaughts are like the secret treasure of Star Wars. We got to see Ugnaughts in action in [Star Wars] Rebels recently and I loved writing that character. He just wants to take a nap the whole time and people keep interrupting his nap, and the consequences are usually disastrous for everybody involved. Like many of his fellow Ugnaughts, Florx is a droid tech, knowing a lot about their anatomy and physiology, so to speak, and they bring him along; he’s one of Lando’s guys. Chewbacca comes along for the ride for some personal reasons. And there’s Kaasha Bateen. She’s a Twi’lek who’s kind of involved with Lando in a confusing and interesting way. She’s also a master strategist with the Free Ryloth movement. Daniel José Older: It’s complicated, exactly. They’re not sure what to put down on Facebook. StarWars.com: You bring Han and Lando together and add Chewbacca. But this time, they’re not on the Falcon. Tell us about the ship they get to travel on. 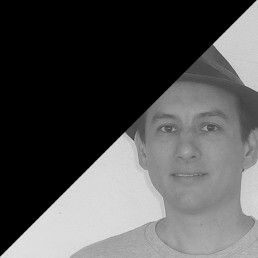 Daniel José Older: The Vermilion is Taka’s ship. It’s disguised as your basic New Republic transport, but the trick is that at this point in history, the New Republic under Mon Mothma is trying to de-militarize and not have a whole lot of weaponry around, but Taka has outfitted the ship with all kinds of goodies, super military ballistic missiles, that sort of thing. So it’s a military ship disguised as a regular freighter. Later on, they get to play around with the Chevalier, which is a really slick, souped-up, excellent type of shuttle. They get to run around on that with all kinds of technology, which is a nice change of pace for them since the Vermilion is kind of busted. Daniel José Older: Exactly. That is a perfect analogy. 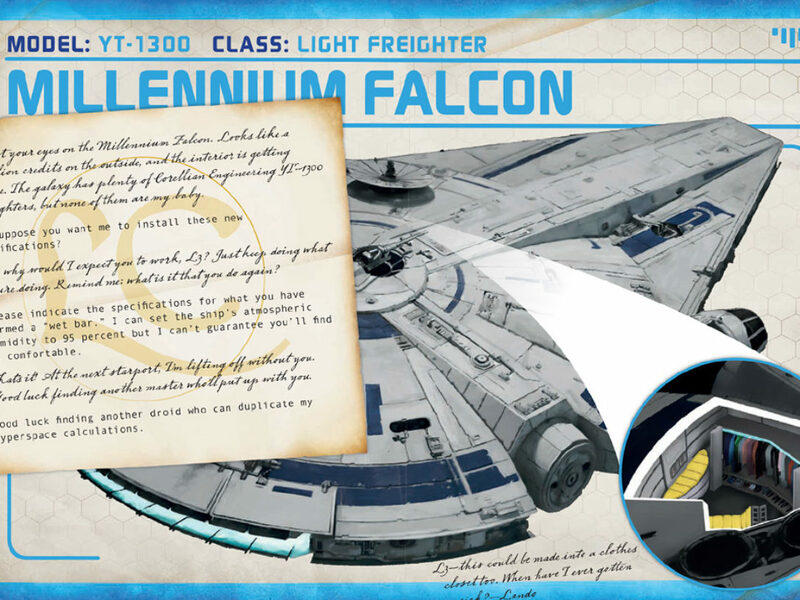 Meanwhile in the backstory, they are both running around on the Falcon and we see their different approaches to maintaining or not maintaining, especially the interior décor, of the Millennium Falcon. StarWars.com: Our heroes run into some pretty seedy locales. In particular, Han and Chewie head to a hotel that is oh-so-disgusting. Daniel José Older: Oh yeah, Freerago’s Satellite Diner and Motel. [Laughs] I love the idea of diners in science fiction and fantasy in general, because diners are such a great crossroads where all different types of people swarm, as they’re open all night, and people hang out there for hours and hours, way past the time they should leave. It’s such a perfect place to have different characters consort and mingle. In Freerago’s, you have a bunch of different creatures, and some Imperials, and Han and Chewie on stakeout, drinking a lot of coffee, and getting really hyper and talking about their lives. And there’s a motel attached, which is a perfect place to have a chase and a shootout. StarWars.com: Definitely full of the scum and villainy one would find in Star Wars. Daniel José Older: As one would hope. 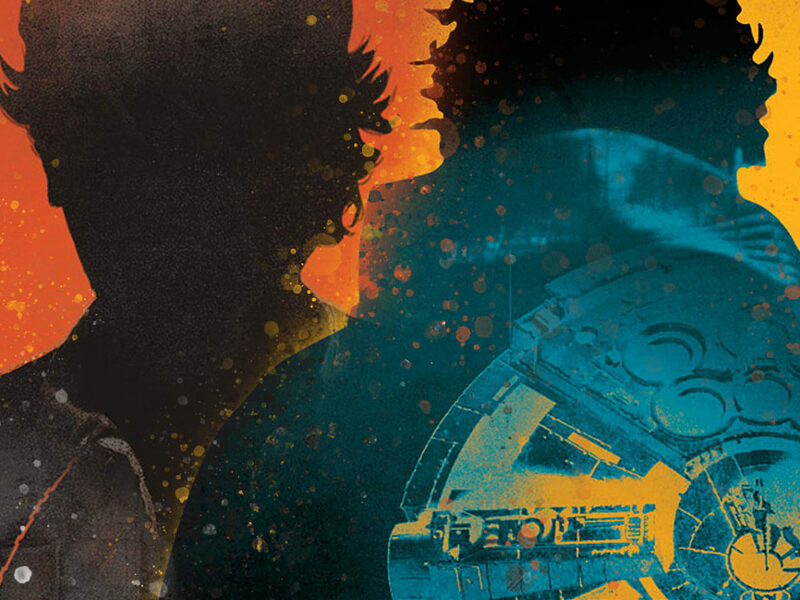 StarWars.com: One of the themes you get to explore in the present day sections is Han being settled and now he’s a father. How does fatherhood and married life play into his character when, as you mentioned earlier, he is at a crossroads? Daniel José Older: Exactly. Exactly. And again, it’s a question of responsibility. It’s a very different challenge to take on responsibility of being a rebel leader and part of a huge movement, but there’s a whole other level to it when you’re a father and you’re responsible for one single life that matters to you on an entirely different level. And just the basic annoyances I really wanted to capture, particularly in the first scenes — just stepping on toys when you get up at four o’clock in the morning because you get a call and you’re trying not to wake up the kid and you want your coffee but the droid is making too much noise. All these really basic little things that humanize the experience of Han being a father. StarWars.com: Capturing that incidental comedy of being Han Solo — things just keep going wrong but there’s nothing he can do about it. Daniel José Older: Right. He’s fed up, but he’s also really passionate. As much as we think of him as a rogue and a smuggler, and a ne’er-do-well, he has that moment in Return of the Jedi where he really offers himself up on the plate to Leia when he thinks that Luke and Leia are going to be a thing. He’s like, “Look, I’ll get out of the way. You have this special connection to Luke that I don’t understand. As much as I love you, I’ll step aside.” That’s a big moment and I think that it speaks to his noble heart inside of this rogue and smuggler, which is why his character is so interesting. StarWars.com: Speaking of that scene, it also shows that he can just be completely wrong about things. StarWars.com: Lando’s partner in the past is a droid, Elthree. How does that play into his relationships and who he likes to partner with? Daniel José Older: I think Lando always needs someone who will challenge him. He’s really good at everything — he’s a good fighter, he’s a good talker, he’s a good lover, he’s just good at being on the scene. But he needs to be pushed to get himself to the next place, to get deeper into who he really is. So he’s attracted to the people and droids who will get him to the next level and not let him just be complacent and keep grinning and smiling his way through life, but not actually moving forward. So with Elthree, the power of their friendship is that she challenges him, and they care about each other deeply. They help each other on a lot of different levels but that’s also what he finds with Kaasha on some level. She’s someone who is not just taken in by him, but is also someone who isn’t going to discard him either. That’s a new form of love for him — he’s used to easy, quick hit-and-runs or…that’s about it. That’s all well and good when you’re young, but again, we find him at a moment when he’s really thinking about settling down. I do think it’s a kind of model in his friendship with Elthree, in that he is looking for someone who will challenge him lovingly, without throwing him away. 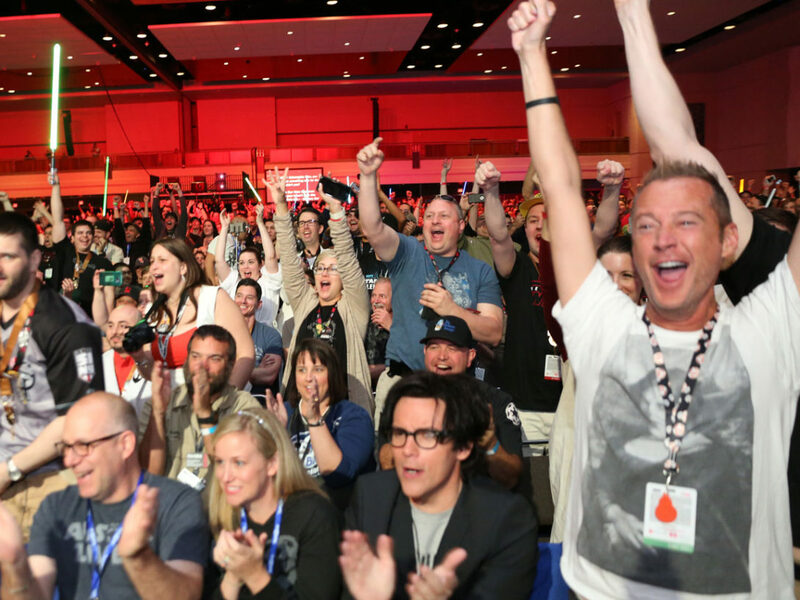 StarWars.com: Someone who sees through his game a little bit. Daniel José Older: Yeah, sees through his game just enough to be able to call him on it, but keeps talking to him. Some could see through his game and say he’s trash and goodbye! She sees through his game but also needs him to challenge her. There’s a balance to that, because she has her own game. StarWars.com: Speaking of great relationships, let’s look at Han and Chewbacca. They’ve spent a little time apart since the events of the Aftermath trilogy, and now they are suddenly back together. What does that look like? Daniel José Older: I think Han feels a little bad about dragging Chewie back into all that action, quite frankly. He’s quite hesitant about bringing Chewie back in because Chewie has already given up so much — travelling the galaxy at Han’s side for years, and finally comes back to liberate his home planet, and just a couple years later, he’s taking back off again. But also, these events affect Chewie’s planet as Wookiees are falling victim to Fyzen Gor, too, so Chewie’s already on board. “Let’s get this done and let’s do this.” He has his own mission, related but off to the side. I think the root of Han’s good heart is Chewie. Before Han has any ties to anyone or any responsibilities to get out of debt, Chewie is the only person that he feels a sense of loyalty to — they have a mutual sense of loyalty. Chewie is the best-hearted character in all of Star Wars, so for him to be on Han’s side, I think really speaks to who Han is as a person. StarWars.com: I had always agreed that Chewie was the best-hearted person in Star Wars, but now connecting that to him sticking to Han… I hadn’t thought of that — you’re right. Daniel José Older: It occurred to me the other day. Chewbacca is the only organic, non-droid character that we see in all three trilogies as a fully-grown character. Everyone else is either a Force ghost or a fetus if they make it through all three, but Chewie is an adult the whole time from the prequel trilogy to the original trilogy to the now trilogy. That’s kind of amazing. 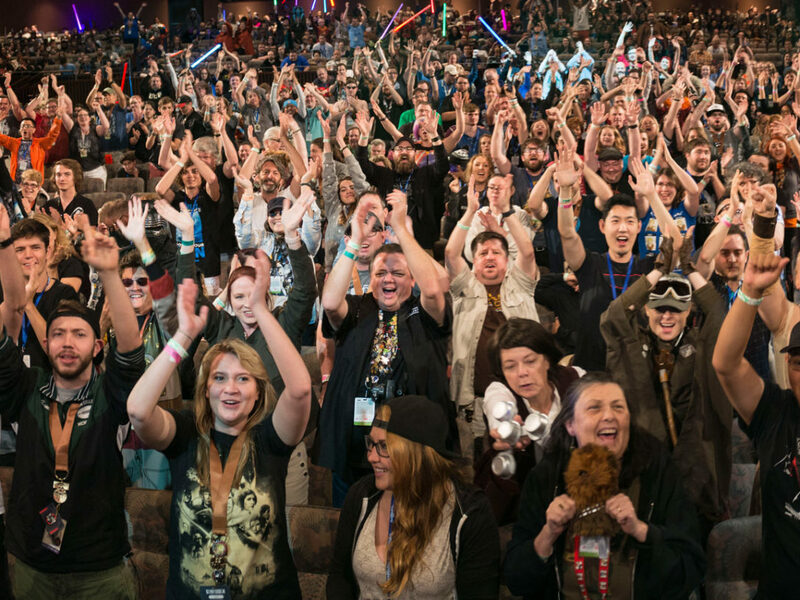 StarWars.com: What is it like getting into Chewbacca’s head? Daniel José Older: Chewbacca is the best friend that has seen all the plays already. So he’s already fed up. Han’s always trying to talk him into whatever his next [thing] is, like, “Oh, she really likes me, obviously.” And Chewie is, “No, bro. No.” Or Han says, “We’re going to do this great swindle and it’s going to go amazing,” but Chewie is all, “Oh my God, here we go again.” But he kind of enjoys it, he’s along for the ride. Pure enjoyment but also “I’m so tired of this, dude, are you serious?” We’ve all been that person, and most people have been on both sides of this. You’ve been the friend with all the hare-brained ideas or always thinking someone’s in love with you, and you’ve been the friend that cannot believe that your pal is still on this trip. That’s Chewie and Han, right there. They’re literally sitting in this diner in this moment, and Han is going on about some girl but Chewie is over it, and they just go back and forth. StarWars.com: Speaking of that girl, let’s talk about Sana Starros. Daniel José Older: Sana is one of the great Star Wars characters. I was like, “Can I write Sana?” She is so amazing. I love her because she constantly outsmarts all the smarties. She’s super devious, but in a super intelligent and compassionate way. Whenever the heist over, it turns out that she’s been playing everybody, but for a good cause. Plus she’s really snarky and one step ahead of the game. She was really fun to write and to have someone else to have Han bounce off of. She cares about Han, she actually likes him as a person, but also like Chewie, she’s fed up with his crap and very willing to call him out when he’s not making any sense. As with Lando, these are good characters for Han to have around. But she’s also doing her own thing — working her own game or business. She was a lot of fun to write. StarWars.com: Another character that I bet was fun to write was Peekpa, but also a challenge since she doesn’t speak Basic. How was it getting into her head, and handling that constant lack of communication between her and the rest of her team. Daniel José Older: Right, especially since we’re writing from characters that don’t speak Ewokese. You either have someone there translating, or in different moments, you don’t have someone, and the characters are trying to figure out what the heck this Ewok is saying and it’s not necessarily going to be clear. So the writing itself has to give us that. I think we take a lot more from tone than actual words when we are listening and communicating with other people in real time. A lot can come across in the way that we say things. For me, the writer’s challenge was getting across what Peekpa was trying to say without using actual words. It was a fun challenge to see what I could do. I think Kaasha is the only one who understands Ewokese, except for Chewie, who doesn’t speak Basic either, so it’s like, how many levels of translation are happening? That’s one of the things I love about Star Wars — there’s all these levels to these different forms of communication. Who speaks what? Why? I love that Han understands Shyriiwook. He understands Chewie and no one else does, and different people understand droids. It’s a fascinating interplay about language and translation. There’s even moments when Kaasha is translating for Peekpa when she learns that the Ewokese word for “non-Ewok” is the same word as “naked,” which really means people who don’t have fur. To them, humans are the Other and are walking around naked with no fur on. And the others are like, “Well, you’re not wearing any pants. What are you talking about?” I find all that stuff so fascinating — how we see the world and how language informs that. StarWars.com: Star Wars is a natural place to play with that, with so many different points of view and ways for language to come together. Daniel José Older: I grew up in a bilingual household and as a bilingual person, the words just slip in there. Spanglish is a language that has come out of two different languages but when you look at it, all languages come out of other languages. We have this false idea of purity. All of that is always on my mind as a person who is around bilingualism in an everyday kind of way. 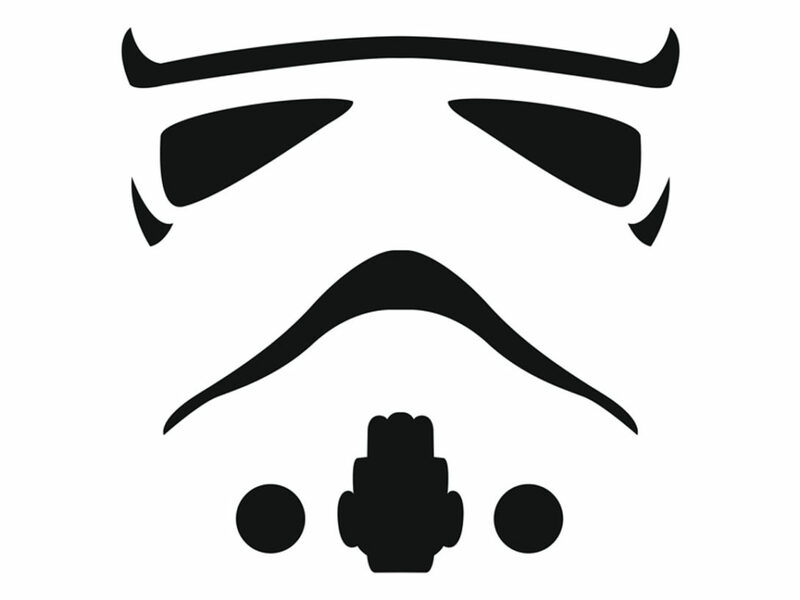 StarWars.com: Anything else you want to share about Last Shot? It was also fun to play around in Utapau. That’s a really interesting planet that we only see a glimpse of in Revenge of the Sith. There are very different species and inhabitants, with different types of tensions and all these canyons. You get the sense that there’s this whole backstory, like with all of Star Wars. That’s what so great about Star Wars — even the tiniest throwaway characters and settings can have huge histories to them. First the Utapauans are so creepy-looking and they are part of this huge canyon culture that is wild and interesting. So I wanted to explore that some, and the gangster syndicates that came out of there. And I love The Godfather. There’s a nod to The Godfather as the story develops and we learn more about the Wandering Star. StarWars.com: So there’s a connection to The Godfather. Any references to Hamilton since we brought that up earlier? Daniel José Older: Hamilton is in everything now. Every book has some kind of sly reference. I think there’s an actual quote in there but I can’t remember what it was. I’m pretty sure I threw one in there because I always do, but it’s subtle, I hope. We could see the Lando and Han relationship as a little bit of Hamilton and Burr if we look hard enough, but don’t push it too far. StarWars.com: And luckily it ends differently. Daniel José Older: Yes! Thank God. That would be bad. But I do think that the betrayal that is at the foundation of their friendship in The Empire Strikes Back was something that was worth touching on. I didn’t want to spend a whole chapter on it or belabor the point, but that’s a powerful thing to have in the backstory of a friendship. It speaks volumes about who they are, that they not only go on to become friends again, but also go on to become heroes after that really difficult, probably traumatic experience where one had to betray the other to save his city, and, I’d also say, Princess Leia and the Rebellion. But what did it mean to be on the losing end of that betrayal and be stuck in carbonite because of one of your best friends? I think they had some unresolved stuff about that. I think they made up and were cool, especially because Lando ended up destroying the Death Star and Han helped him do that. They patched it up, but I think there are some lingering feelings that had to be dealt with and these pop up in their own way throughout the narrative. Also, I worked in my character from the 40th anniversary short story collection, From a Certain Point of View. Sardis Ramsin is the stormtrooper that I wrote for that anthology and he does pop up in this book — my own personal Easter egg. 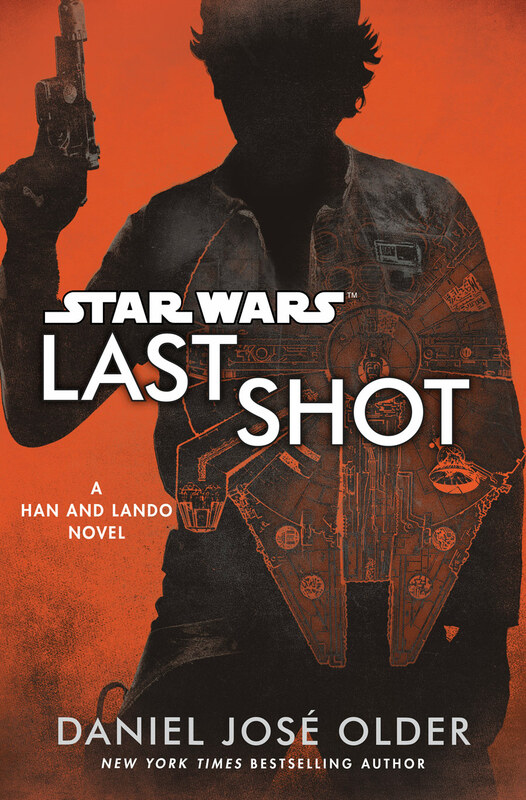 Last Shot goes on sale on April 17 in hardcover and ebook formats from Del Rey, and as an unabridged audiobook in both CD and audio download formats from Random House Audio, narrated by Marc Thompson, Daniel José Older, and January LaVoy. Daniel José Older can be reached online at danieljoseolder.net and will be appearing at Universal Fan Con in late April in Baltimore, Phoenix Comic Fest in May, and San Diego Comic-Con in July.